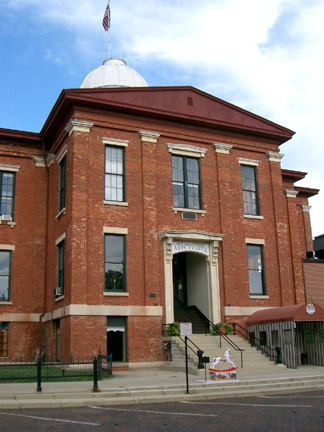 At left is the Old Court House Arts Center in Woodstock, Illinois. This fabulous building is on the National Register of Historic Sites. Upper center window is our class room. 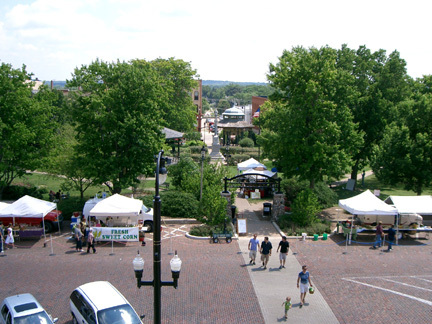 Below is the view from the window of the Woodstock Square. In the summer there is a farmers market on Saturday. 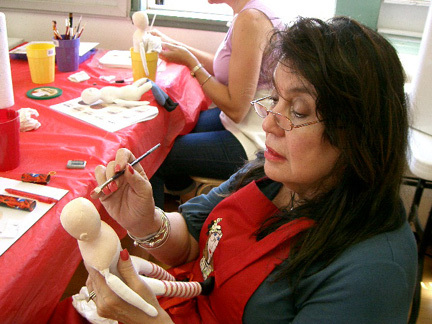 Doll Makers at work. 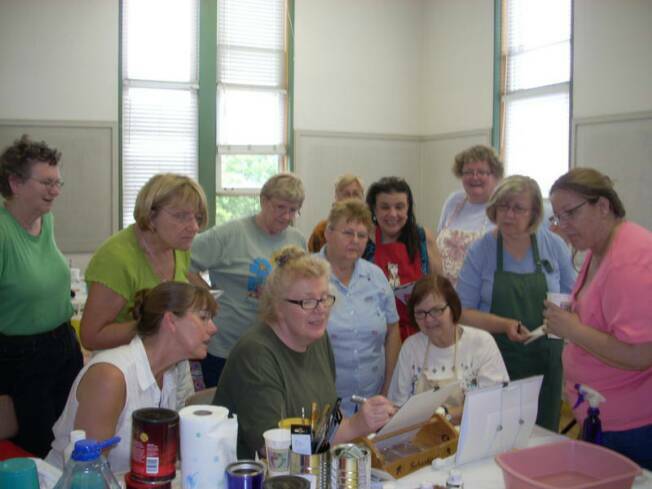 During the two days of the workshop, we focused on the painting. 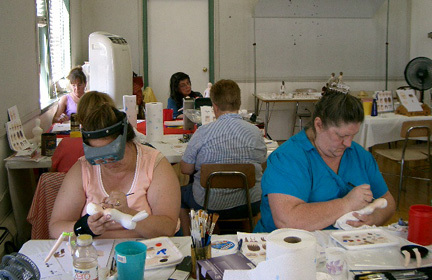 After the group demonstration everyone got to work, and it was really quiet! 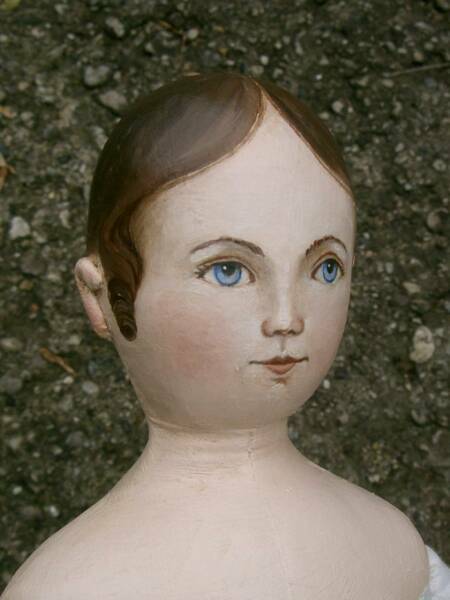 Doll Makers came from near and far: California, Florida, Georgia, Illinois, Massachusetts, Ohio, Rhode Island, Utah, Vermont, West Virginia, Wisconsin, and Puerto Rico. 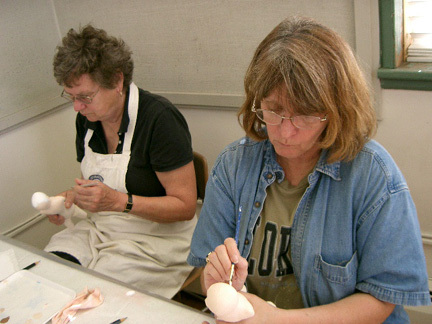 At left: Jenifer and Carol getting started on their dolls. 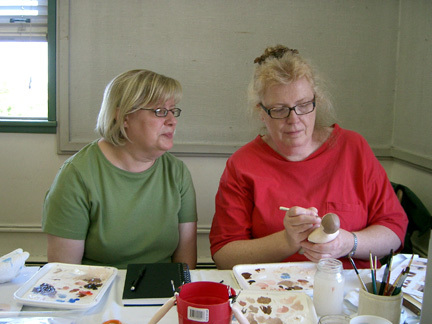 Below: Dahlia works on the detail..
At Right: Sometimes one-on-one help is needed. 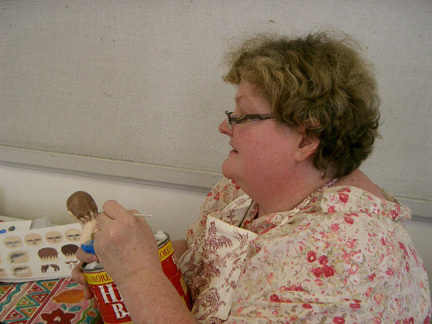 Here I am with Peggy making an adjustment to her doll. 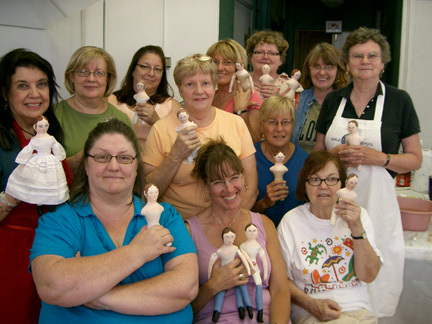 Above: Sunday afternoon, and doll makers were nearly finished painting when we took this group photo. 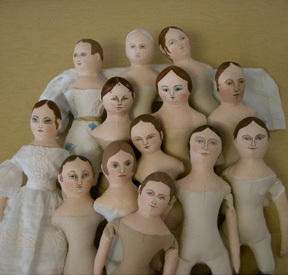 Above right: Pile of painted dolls have yet to receive all their limbs, and of course, their fine dresses! 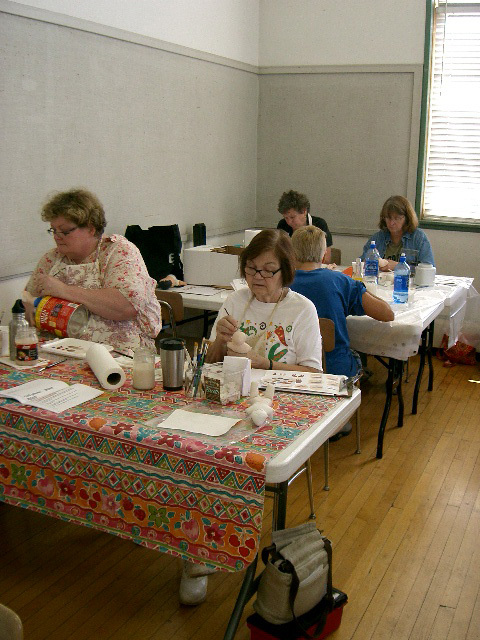 Please look below for a tour of a previous workshop.